The hypnosis training will be held in a central part of Singapore close to public transport and Singapore international airport. The training is led by Ririi Trivedi in the English language. The workshop tutor fee, supervision and certification is SGD 1050. 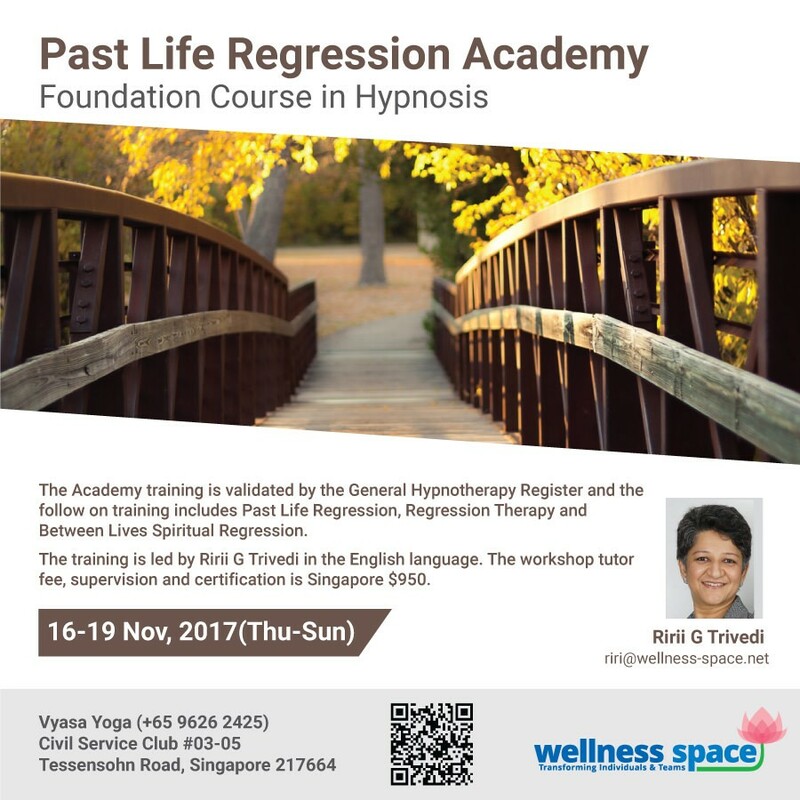 This training is a requirement for joining the full Past Life Regression Training in Singapore in year 2018. Download the full workshop outline and application form.